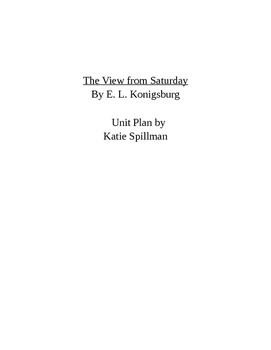 This unit plan includes quizzes, culminating activities, projects, and assessments for the novel The View from Saturday by E. L. Konigsburg. No fancy graphics here, just tried and true questions that I have used with my special education sixth grade students! 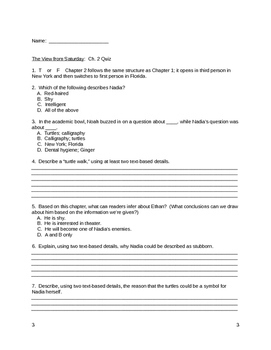 Includes selected and constructed response style questions as well as creative activities. This plan will meet Common Core English Language Arts standards and requires students to support their answers with textual evidence. Particularly for constructed response questions, I have found that it is important for students to create their own answer keys in order to understand that there can be many correct answers as long as they are supported by the text. This plan will help you and your students analyze and enjoy this short yet surprisingly complex novel!